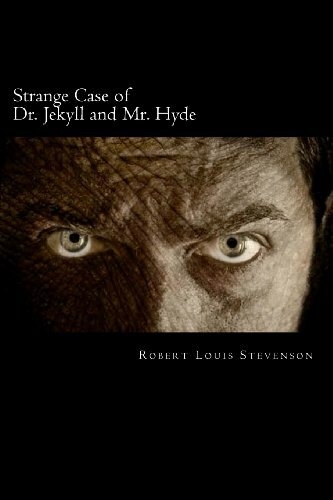 THE STRANGE CASE OF DR. JEKYLL AND MR. HYDE. The young Robert Louis Stevenson suffered from repeated nightmares of living a double life, in which by day he worked as a respectable doctor and by night he roamed the back alleys of old-town Edinburgh. In three days of furious writing, he produced a story about his dream existence. His wife found it too gruesome, so he promptly burned the manuscript. In another three days, he wrote it again. The Strange Case of Dr. Jekyll and Mr. Hyde was published as a "shilling shocker" in 1886, and became an instant classic. In the first six months, 40,000 copies were sold. Queen Victoria read it. Sermons and editorials were written about it. When Stevenson and his family visited America a year later, they were mobbed by reporters at the dock in New York City. Compulsively readable from its opening pages, Dr. Jekyll and Mr. Hyde is still one of the best tales ever written about the divided self. This University of Nebraska Press edition is a small, exquisitely produced paperback. The book design, based on the original first edition of 1886, includes wide margins, decorative capitals on the title page and first page of each chapter, and a clean, readable font that is 19th-century in style. Joyce Carol Oates contributes a foreword in which she calls Dr. Jekyll and Mr. Hyde a "mythopoetic figure" like Frankenstein, Dracula, and Alice in Wonderland, and compares Stevenson's creation to doubled selves in the works of Plato, Poe, Wilde, and Dickens. 3/15/2013 Dorothy Rose Artner said: Such an interesting concept to understand. I really enjoyed this unusual tale.